Geotripper: Geological Excursions in the Sonora Pass Region now available at Sunbelt! 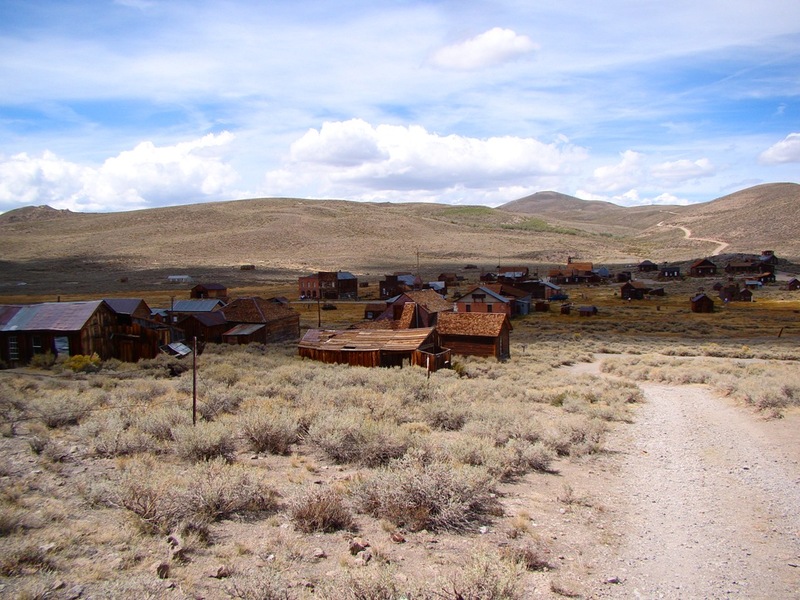 Geological Excursions in the Sonora Pass Region now available at Sunbelt! Our field guide to the geology of the Sonora Pass region and the eastern Sierra Nevada region is now available for sale at Sunbelt Publishing for $24.95 (here is the link)! 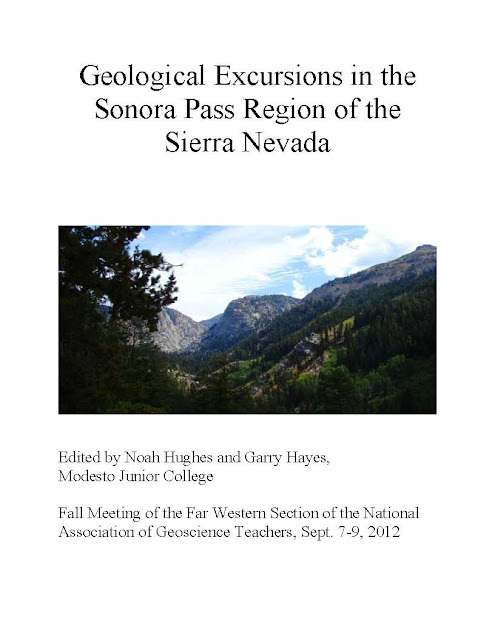 This was the roadguide for our recent meeting of the Far Western Section of the National Association of Geoscience Teachers. There are quite a few geological road guides out there for the eastern Sierra Nevada, especially around the Mono Lake area, but there have been fewer guides for the area to the north. It is a fascinating region, with widespread Miocene volcanism, faulting and Pleistocene glaciations (the largest glaciers of the eastern Sierra Nevada traversed the West Walker River gorge). 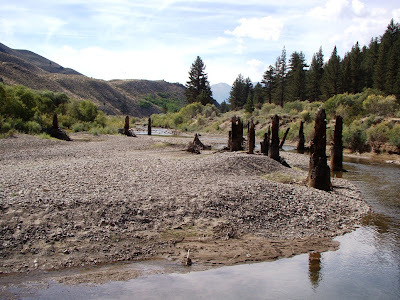 One of California's most intriguing ghost towns can be found at Bodie (above), and one can also find a strange "fluvial forest" in the West Walker River, a group of long-dead Ponderosa pines that provide evidence of a century-long mega drought only a thousand years ago (below). 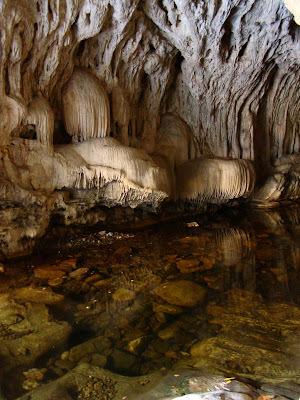 The western slope of the Sierra along the Stanislaus River hides some geological treasures as well, including the Columns of the Giants and the Natural Bridges in the cave country north of Columbia State Park (below). A reminder: Sales of this guide will fund the scholarship program of the Far Western Section of the NAGT, which supports geology majors throughout California, Nevada and Hawaii. The book can also be purchased directly from the Far Western Section at this link. Check it out! Bought the field trip guide, and it came yesterday. My flip-through found it interesting and helpful. Husband and I drive Sonora Pass regularly and are building a small house at Devil's Gate, the world's slowest construction project. (We won't do it on credit.) But you can now say that the owner of the Devil's Gate (yes, really, the gate is on our property) is a regular reader of yours! Devils Gate! I hope you won't shoo away us geologists if we stop there on a field trip to have a look! Goodness, no! Fellow geologists welcome 24/7!